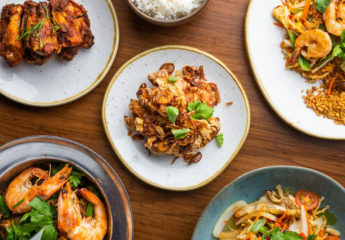 From sky-high dining at Duck & Waffle, Sushisamba and City Social to a meaty feast at Pitt Cue, read our guide to the best restaurants in The City of London. 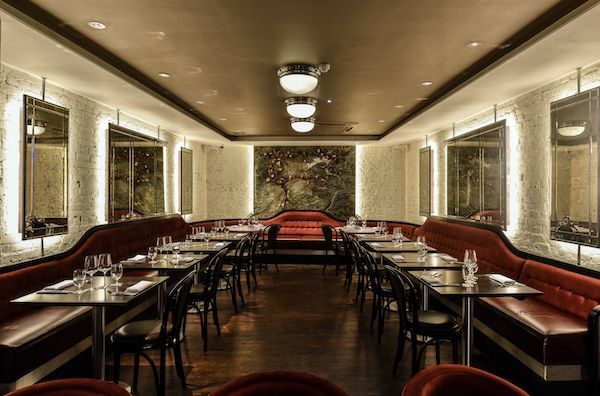 Cabotte is an intimate, cosy yet elegant restaurant serving classic French cuisine alongside a large collection of fine wines from Burgundy and beyond. The menu features a combination of classic and modern French dishes. Stand out dishes for us were the Oeuf Meurette – a poached egg served alongside smoked bacon and Lie de Vin sauce – and the delicate, woody and rich wild mushroom & onion tart with confit duck. 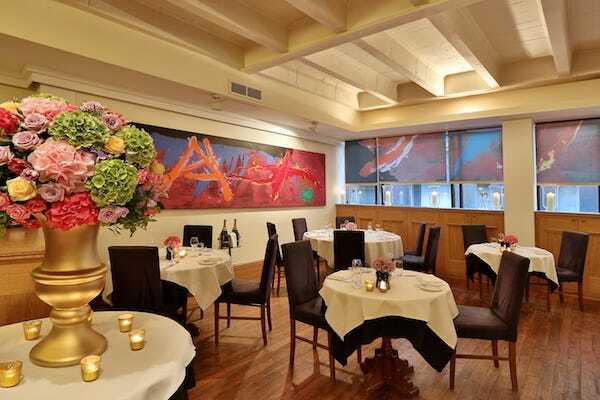 The food is indulgent, the atmosphere convivial, and the wine list – curated by the restaurant founder and master sommeliers, Xavier Rousset and Gearoid Devaney – is exciting. 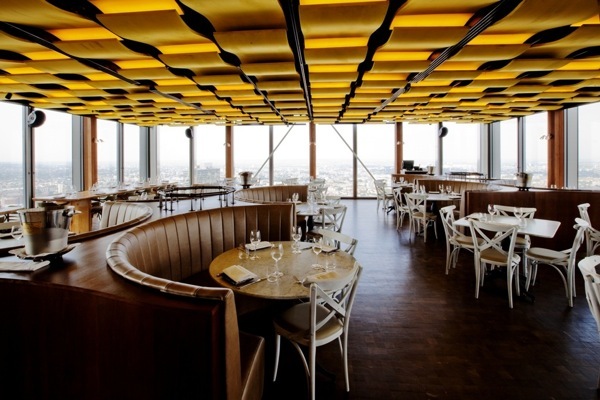 Duck and Waffle sits on the 40th floor of Heron Tower in the City. The restaurant serves inventive British / European food 24 hours per day, with floor-to-ceiling windows offering beautiful views. Try the signature ‘Duck & Waffle’ dish and the crispy pigs’ ears. With incredible views of London and food to match, Duck & Waffle is a contender for one of the best restaurants in The City. 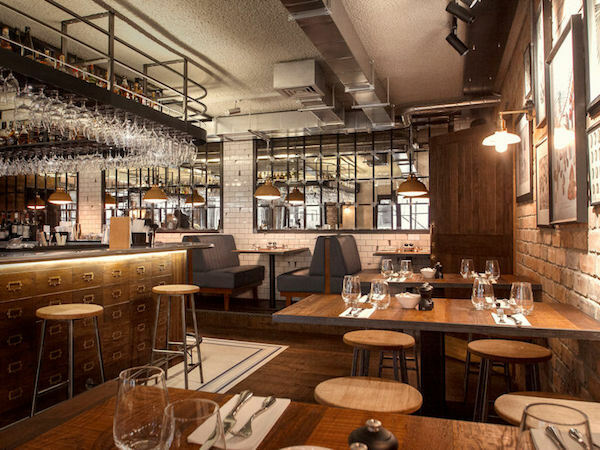 Blacklock, the Soho chophouse and one of our favourite Sunday lunch spots, has just launched a sister restaurant in the City. Like its sister restaurant, Blacklock City specialises in high quality, chargrilled beef, lamb and pork chops, but it also offers an extended list of starters and selection of meat cuts. We loved the ‘all-in’ platter when we visited – a large sharing plate of beef, lamb, pork chops and cuts presented on chargrilled ciabatta dripping in delicious juices from the meat. Make sure to allow plenty of space for the signature dessert of white chocolate cheesecake served family-style at the table. 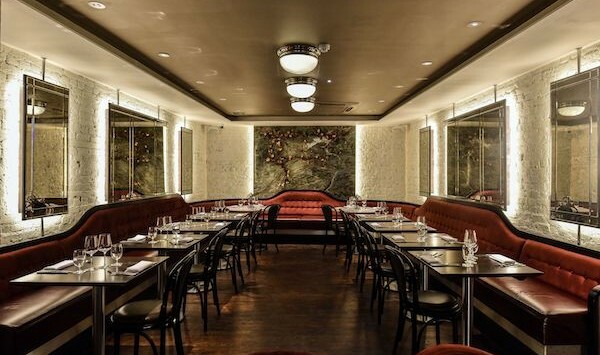 Like Blacklock Soho, the City restaurant is at basement level but it is bigger than its sister restaurant with a separate cocktail bar which greets you as soon as you walk downstairs from street level. The dimly-lit atmosphere is cosy with tables set close together and if you can’t make it to the bar for eating, there is even a cocktail trolley roaming around the restaurant to make sure you won’t go thirsty. 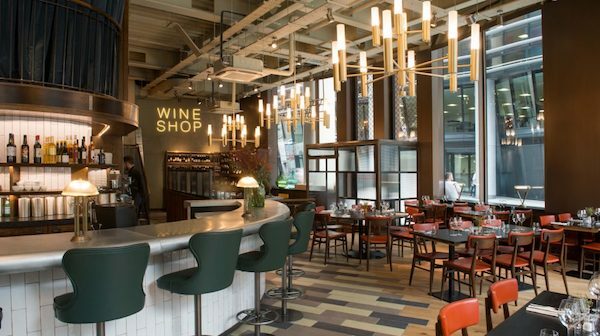 Inspired by the wine bars of Spain and Italy, Vinoteca has a number of bars across London that serve simple dishes made with fresh seasonal produce paired with high quality, characterful wine. As you would expect from Vinoteca, the wine list is impressive and they also have a goos Sunday roast offering. 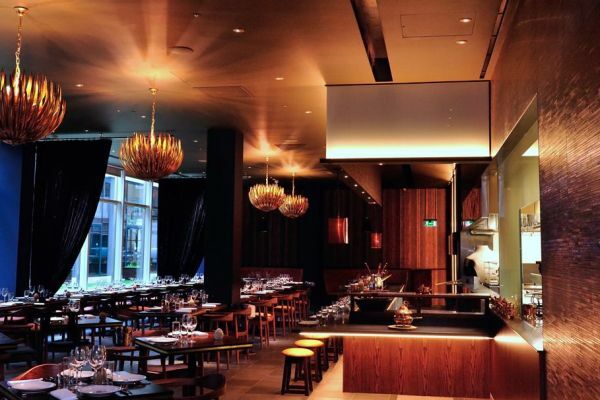 From the people behind Manicomio, Canto Corvino is an Italian restaurant in a low-key space with warehouse lighting, booth seating and a basement private dining room. 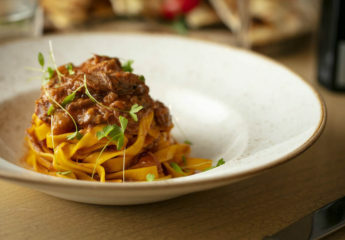 From salumi and raw plates to Josper-grilled meats and homemade pasta, the open kitchen at this sleek Spitalfields Italian offers an all-day menu, weekend brunch and a feasting menu served in the private dining room. 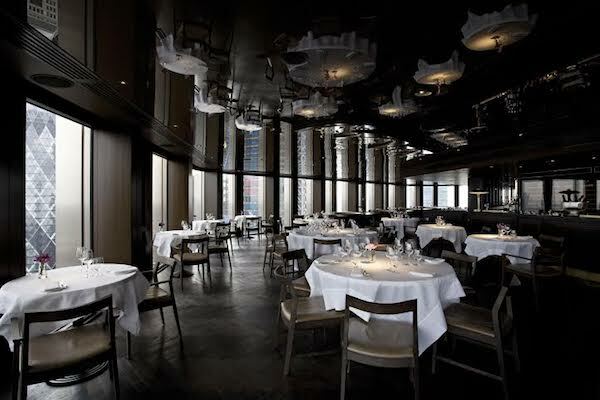 Jason Atherton’s restaurant in The City is one of London’s best sky high dining options on the 24th floor of Tower 42 with impressive views of the Capital’s major landmarks. The 90-cover City Social has a menu of creative yet simple dishes that showcase the best of British produce. To enjoy the view without dinner, try the City Social bar and its prohibition-inspired cocktails. 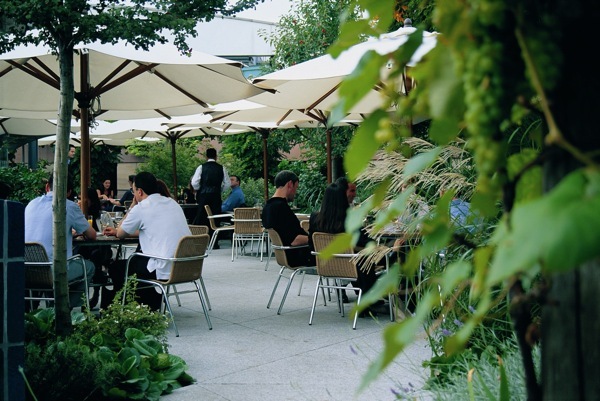 Coq d’Argent has an outdoor terrace and a large and rather beautiful garden terrace, with great views of some of London’s most well known landmarks, including St Paul’s Cathedral. The restaurant serves modern French cuisine while the brasserie and terrace serve a lighter menu with more of a modern European hint. Get there early during the week and be prepared to queue for the glass lift as it’s a very popular destination with City workers, or visit for a more relaxed Sunday lunch on the weekend. If you can look past the bland décor and restaurant design, Darbaar is an excellent choice for an Indian restaurant in the City. Chef Abdul Yaseen, former head chef at the Cinnamon Club, heads up the kitchen and showcases some accomplished cooking with a menu that mixes traditional favourites with new dishes. Try the grilled king scallop and royal Madagascar prawn and the most unctuous Dal Makhani (slow cooked black lentils in butter and cream). 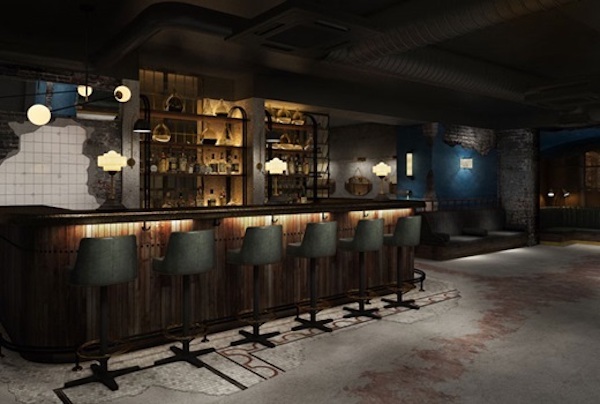 A restaurant, bistro and bar near Bank in The City, The Don serves modern European cuisine (with a French slant) in a building which used to house Sanderman’s port warehouse. The atmosphere is calm and relaxed that the food is consistently good. There are a number of private dining rooms available, some in the port and sherry vaults, for business lunches and dinners. 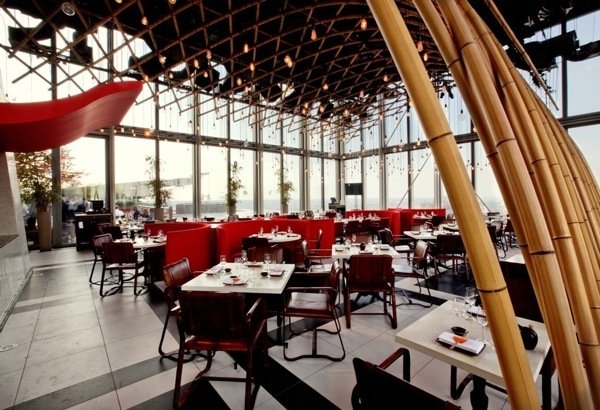 Sushisamba London offers a mix of Japanese, Brazilian and Peruvian cuisine, and with its rooftop position on the 38th and 39th floors of the Heron Tower in The City, it also has rather impressive views. The menu features items from a Robata grill, along with a variety of ceviches and tiraditos, sushi rolls and numerous sharing plates. Sushisamba London has two large outdoor terraces, one of which has a stunning copper coloured tree as a focus point above the bar. In the warmer months, the restaurant has one of the best rooftop bars in London. I can’t think of many places in London I would rather visit for dim sum than Yauatcha. Describing itself as a dim sum teahouse, Yauatcha specialises in just that – in addition to the fantastic dim sum menu, it offers over 60 types of tea. Visit for a quick dim sum lunch or for a full three course dinner. Just try making it out the door without picking up a box of macaroons from the patisserie to take home with you. Pitt Cue started in 2011 as a food van serving Southern-style smoked and barbecued brisket or pulled pork. 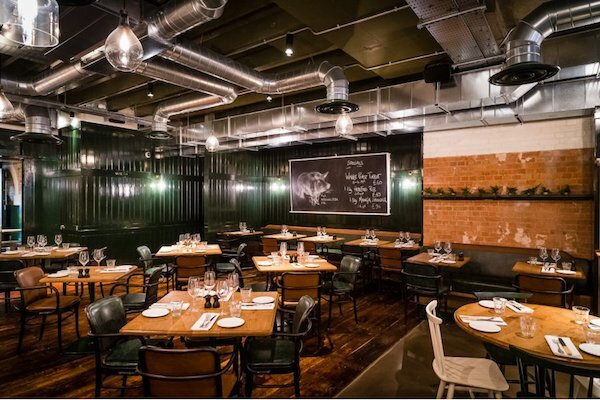 With a time in a small space in Soho, in 2015 Pitt Cue moved to a more grown-up venue in The City near Bishopsgate. 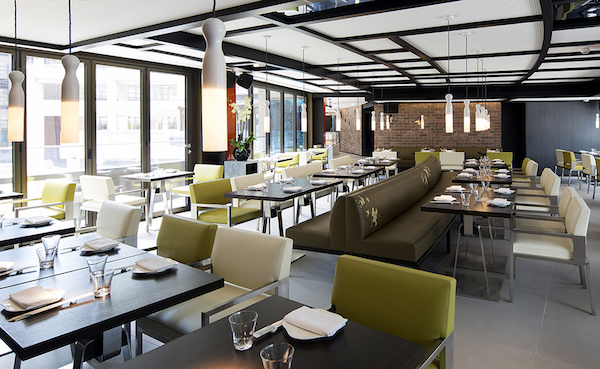 The restaurant is dominated by a large open kitchen with charcoal grills and seats around 100 people in an industrial, warehouse-style setting. The menu is hearty and meaty, but includes some fish options too. 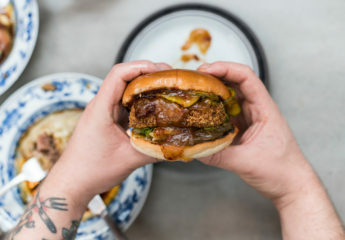 If you enjoyed this feature on the best restaurants in The City, you may also like to read our other restaurant destination guides including the best restaurants in Soho or the best restaurants in Covent Garden. Want our restaurant guides direct in your inbox? Then Sign up here.